I am pleased to inform you about an important new development in our organization. As you know last year the AIS Council adopted a new set of By-Laws for the Iranian Studies journal. According to the By-Laws when it is time to choose a new Editor-in-Chief for the journal, a search committee is appointed by the President to present a slate of qualified candidates to the President who will then ask the AIS Council to comment on the qualifications of the candidates. After receiving and considering the Council’s recommendations, the President then announces the new Editor-in-Chief. As such I am now pleased to announce that beginning on November 1, 2016, Professor Ali Gheissari, Department of History, University of San Diego will take up full editorial duties as the new Editor-in-Chief of Iranian Studies. The current editor, Professor Homa Katouzian, will officially complete his duties with the publication of volume 49, issue number 6, November 1, 2016. To ensure continuity of publication, the new Editor-in-Chief will be involved with the journal from the summer of 2015, and begins selecting articles for volume 50, issue number 1 and after. On behalf of the entire organization I offer my gratitude to the outgoing editor Professor Katouzian for his outstanding service and wish him the best in his future endeavors. Please join me in welcoming Professor Gheissari as our new Editor-in-Chief. Ali Gheissari teaches history at the University of San Diego, and has research interest in the intellectual and political history of modern Iran. 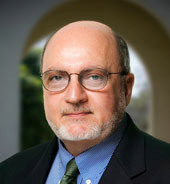 He studied law and political science at Tehran University, sociology at Essex University, and history with concentration on Iranian Studies, at Oxford University, and has held visiting appointments at Tehran University, the Iranian Institute of Philosophy, UCLA, UC San Diego, Brown University, and St. Antony’s College, Oxford. Professor Gheissari has written extensively in both Persian and English on modern Iranian history as well as on modern philosophy and social theory. His books include Contemporary Iran: Economy, Society, Politics (ed., Oxford University Press, 2009); Tabriz and Rasht in the Iranian Constitutional Revolution (ed., Tehran: Nashr-e Târikh-e Iran, 2008); Democracy in Iran: History and the Quest for Liberty (co-author Vali Nasr, Oxford University Press, 2006; paperback, 2009); Iranian Intellectuals in the Twentieth Century (University of Texas Press, 1998; reissued, 2008); Persian translation of Immanuel Kant’s Groundwork of the Metaphysic of Ethics (with Hamid Enayat, Tehran: Khwârazmi Publishers, 1991; new edition with revisions, 2015); Manfred S. Frings et al, Max Scheler and Phenomenology (Mâx Sheler va Padidârshenâsi), tr., (Tehran: Khwârazmi Publishers, 2015); and Kant on Time and Other Essays (Zamân az Didgâh-e Kânt va Chand Maqâleh-ye Digar) (Tehran: Hermes Publishers, 2015, in press). He is also the author of numerous essays, including “Maqâle, Resâle, Ketâb: An Overview of Persian Expository and Analytical Prose,” in Ehsan Yarshater (Editor-in-Chief), A History of Persian Literature, Vol. V: Persian Prose, ed. Bo Utas, (London: I.B. Tauris, forthcoming); “Right to Remove Evil and Rise up to Injustice” (Haqq-e Daf’-e Sharr va Qiyâm bar Zedd-e Zolm) (anonymous, c. 1908), ed., in Kâveh Bayât and Nâder Motallebi Kâshâni (eds. ), Pazhouhesh-hâ-ye Irânshenâsi: Nâmvâreh-ye Iraj Afshâr (Iranian Studies: Iraj Afshar Memorial Volume) (Tehran, 2015, forthcoming); “Fruits of Gardens, by Hâjj Mirzâ Mohammad Tehrâni: An Unpublished Philosophical Miscellany in Arabic and Persian in late Qajar Iran (c. 1914)” (“Fawâka al-Basâtin, athar-e Hâjj Mirzâ Mohammad Tehrâni: Matni Falsafi va E’teqâdi dar Avâkher-e Qâjâriyeh”), complete Persian sections, ed. with Preface and notes, in Rasoul Ja’fariân (ed. ), Jashn-Nâmeh-ye Ostâd Sayyed Ahmad Hosseini Eshkevari (Sayyed Ahmad Hosseini Eshkevari Festschrift) (Tehran: Nashr-e ‘Elm, 2013, pp. 723-817); “The U.S. Coup of 1953 in Iran, Sixty Years On,” Passport: The Society for Historians of American Foreign Relations Review (44/2, 2013, pp. 23-26); “The American College of Tehran, 1929-1931: A Memorial Album,” Iranian Studies (44/5, 2011, pp. 671-713); “Constitutional Rights and the Development of Civil Law in Iran, 1907-1941,” in H.E. Chehabi and Vanessa Martin (eds. ), Iran’s Constitutional Revolution: Politics, Cultural Transformations, and Transnational Connections (London: I.B. Tauris, 2010, pp. 60-79 and 419-427); “Merchants without Borders: Trade, Travel, and a Revolution in late Qajar Iran,” in Roxane Farmanfarmaian (ed. ), War and Peace in Qajar Persia: Implications Past and Present (London: Routledge, 2008, pp. 183-212); “Despots of the World Unite! Satire in the Iranian Constitutional Press: The Majalleh-ye Estebdad, 1907-1908,” Comparative Studies of South Asia, Africa and the Middle East (25/2, Special Issue: Retrospectives on the Iranian Constitutional Revolution 1905-1909, Guest Editor: Houri Berberian, 2005, pp. 360-376); “Truth and Method in Modern Iranian Historiography and Social Sciences,” Critique: Journal for Critical Studies of the Middle East, (4/6, 1995, pp. 39-56); “Poetry and Politics of Farrokhi Yazdi,” Iranian Studies (26/1-2, 1993, pp. 33-50); and has regularly contributed entries to the Encyclopaedia Iranica. His current research focuses on aspects of legal and constitutional history of modern Iran. Professor Gheissari currently serves on the Editorial Board of the Iranian Studies journal and is also on the Editorial Board of the Iran Studies book series, published by Brill (Leiden).